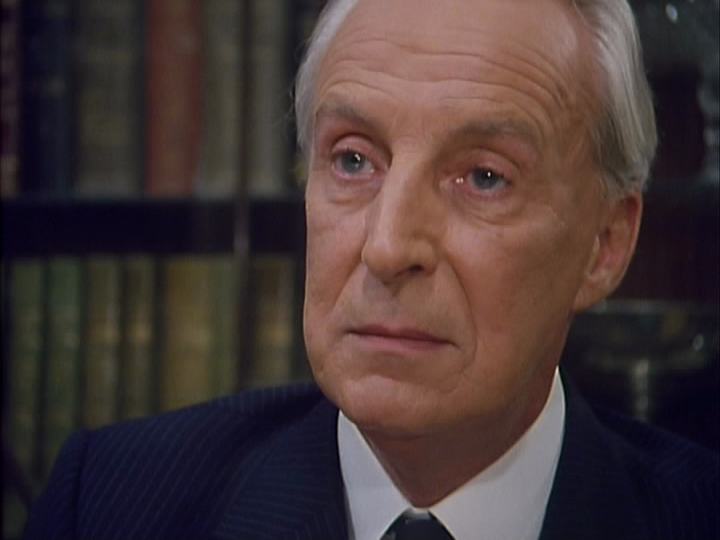 In this third article of four on To Play the King, Francis Urquhart is showing his hand more as a head of a thug government than we have seen before. In the past, when he was trying to attain the office of Prime Minister, he was using other people to do his dirty work. 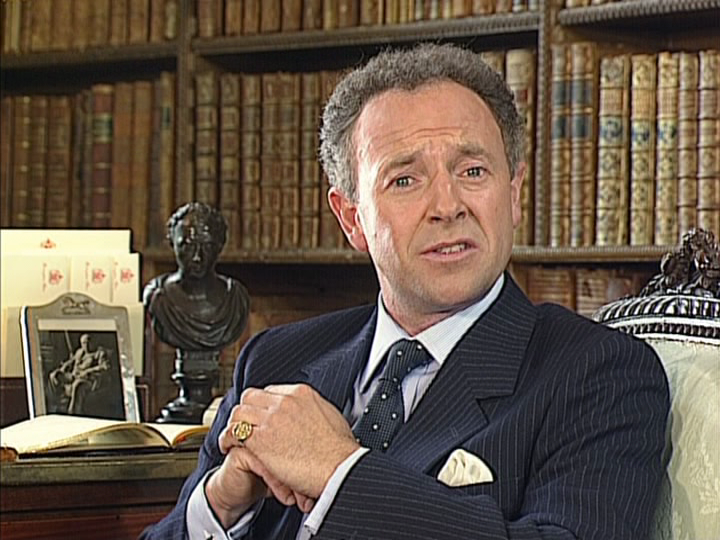 Urquhart was an expert at remaining behind the scenes while he was creating havoc in the government for his own personal gain. Only one person figured it out, Mattie Storin and she paid the highest price for what she found out. There was one other person who Mattie confided in and his time is running out too. Although still a magnificent series, I can’t but help to be slightly disappointed so far. Where House of Cards succeeded magnificently was Urquhart’s ability to be behind the scenes and manipulate every one. He had a plan though out the series which I, as a viewer, just would watch in amazement as he had 3 or 4 things going on at once that would eventually get him what he wanted. The methods between the two series haven’t changed but as we see in this week’s episode, the difference is that more and more people start to see Urquhart for exactly who he is and the one who is seeing this the most is the King. The King of England and the Prime Minister Francis Urquhart have been locking horns from the very beginning. The King wants to be more involved with the government but even more so he disagrees with every belief that the Prime Minister holds. Urquhart would not be too bothered by this except that the King is making his beliefs public. The King (as well as the monarchy) cannot be seen to go against the government. Urquhart has already made plans to stop this. Unfortunately, the King is already starting to make his views known. The King has already given a speech that criticizes Urquhart’s government, his assistant Chloe leaked statements from the King that were critical, and the King met with members of both sides of government to start figuring out how to change the current government leadership. The next step for the King is to take it to television. The King makes a documentary which is an attack on what the United Kingdom has turned into and an attack on the government. The documentary visually is quite nice when the King is on screen as he is standing looking over the beautiful shoreline. When speaking of the current state of the UK and the government, images are shown of poverty and homeless people making a very stark contrast. The music used in the documentary is one of my personal favourite pieces of music. It is Gustav Holst’s Jupiter – Bringer of Jollity from 1918. It is a wonderful piece of music; check it out if you have never heard it. The response for this documentary from the public is immense. So powerful of a response that Chloe even suggests that the King himself should run for the office of Prime Minister. This is a suggestion that is shouted down by the Prime Minister. Don’t forget, in Episode Two Urquhart had called for a general election. Everyone is waiting for when the actual election is going to take place including the Party Chairman Tim Stamper. There is much for him to do. Now it gets a little difficult as there is a lot going on in the episode but it is easier to look at the circumstances by character more than by plot. Everything is very separate but it is possible that everything is going to come together very soon. It’s hard to see the relevance to Sarah Harding. She was brought on as a “special project” for Urquhart by his wife Elizabeth. She has been involved with ideas for how the Prime Minister can use polling to his advantage. She has also helped him re-draft the King’s speech. Yet, as far as I can see, her role in this series is not nearly as important as Mattie Storin’s role was in House of Cards. Mattie was Urquhart’s conduit through the press. He was an anonymous source and he used her to leak information he wanted the public to know. 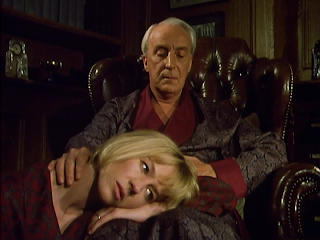 In Episode Two, Sarah got a “history” of Mattie from Urquhart. 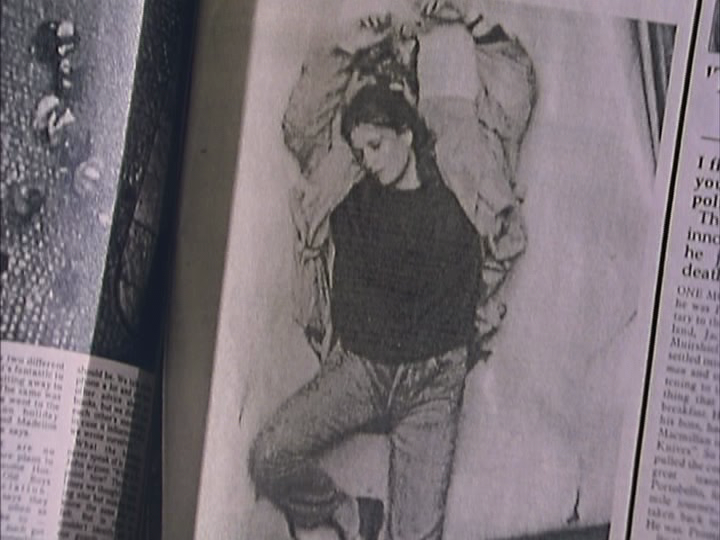 It was a story that had Mattie jumping to her death because of her love for Urquhart. Sarah and Urquhart become romantically involved with each other and they have an affair. It starts out for Sarah as just physical but she later admits to Urquhart that she loves him. It even confuses Urquhart as he no longer knows whose playing who in this relationship between them. 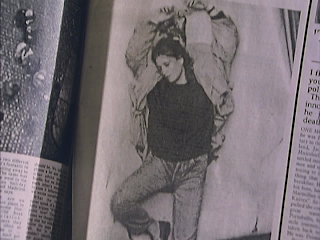 As much as Sarah says she trusts Urquhart, she does some research on Mattie at the library and looks through some old newspaper articles written by Mattie and also stories on her death. There, Sarah finds an article about Roger O’Neill who was Urquhart’s unwilling henchman in House of Cards. Roger died in that series and Sarah was reading about his death. She also finds out about Mattie’s close friend John Krajewski who was deputy editor at the paper Mattie worked at before she died. John is a very different man than he was in House of Cards. Now, he is generally in hiding. He trusts no one, especially the government. He meets Sarah on the second floor of a double decker bus. This is where he tells her that Mattie and him worked out that Urquhart had to have killed Roger O’Neill and also was responsible for all the uproar going on in the government at that time. He also warned Sarah that anyone who has dealings with Urquhart ends up dead and that he, himself, was scared for his own life as he had ties with Mattie. It would prove very prophetic as he was killed the next day with a bullet through his head. Sarah is shocked as she hears it on the radio the next day while getting ready for work. Yet through all of this, she still sticks with Urquhart, she still believes him even when she tells him that she tracked down and spoke to Krajewski the previous day. 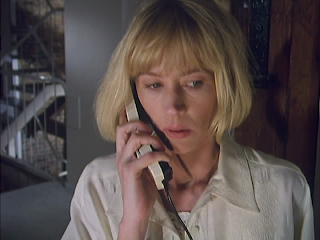 Things start to unravel for her as her husband finds out she is having an affair with Urquhart and she starts to get threatening phone calls about Urquhart to her home. Meanwhile Chief of Staff for the King David Mycroft is having troubles of his own. Mycroft had a pretty bad marriage. It sounds like through conversations between himself and the King that Mycroft’s wife put him through hell. It doesn’t help that he had been living a lie. He is gay and now that his marriage is over, he is able to live the life he wants. He has met someone who he really likes. The problem is that his first night “out” at a gay club he is recognized instantly. I did not pick this up in Episode Two but it is made clear in this episode that he is recognized by John Staines who is in the House of Commons and would know who Mycroft is. This make Mycroft uneasy but it gets worse as Staines is arrested for being in the company of young boys. Mycroft remembers that Staines was with a young boy at the club Staines recognized him at and fears that as the investigation continues, Mycroft’s name might be somehow revealed. When the King was having his conversation with Mycroft, Urquhart had people listening in on their conversation. This wasn’t the only location where people were listening. He had a van out at the castle that Princess Charlotte lives. She has been having an affair with Sir Bruce Bullerby but that isn’t the only thing Bruce is doing there. One thing I did not pick up from the previous two episodes is that Sir Bruce is the owner/editor of one of the newspapers that is supposed to be supporting Urquhart’s government. The paper hasn’t been doing that and in fact their stance has been more pro King than anything else. 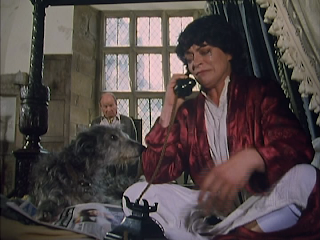 Urquhart has been spying and he calls in Sir Bruce to his office. With Stamper sitting by his side, Urquhart hands picture after picture of Sir Bruce in compromising positions with Princess Charlotte. Now, the one thing I did pick up about Sir Bruce from the very beginning is that he is not very smart. Prior to the pictures being shown, he gloats that he has been writing down Princess Charlotte’s memoirs which were not to be published until after her death. He mentions that he got a lot of juicy tidbits about the whole Royal family. Urquhart simply orders Sir Bruce to publish the memoirs or the pictures get released. Princess Charlotte is devastated by Sir Bruce’s breach in her confidences. 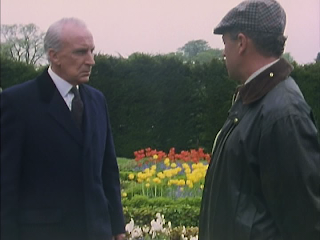 Meanwhile Urquhart is face to face with the King at the garden of Buckingham Palace. The speaking is very plain and very direct. Urquhart lays out the ultimatum. More information and pictures will be published if the King does not stand down. The King’s response is simply “Do you worse.” He will not stand down. This sets up the final episode for a war between the government and the monarchy. As I mentioned at the beginning of this article, Urquhart is not the puppet master he was during House of Cards. Now he is point blankly threatening the King. It is a pure power struggle and yet I am disappointed that we don’t get the version of Urquhart who is behind the scenes and is apparently innocent of everything. More and more people are becoming aware of what Urquhart really is. His closest advisor, Stamper, is creating plans that could disrupt Urquhart political future. Is Sarah getting closer to realizing how dangerous Urquhart is? The only one who seems loyal is his wife Elizabeth. As I mentioned since I started these articles, this is my first time viewing To Play the King. This is all new to me. There has been one constant so far in these episodes and that is his loyal wife Elizabeth. One might even say she orchestrated everything we have seen so far. She was the one to give Urquhart the idea to go after his enemies and go for the Prime Minister’s office. She turned a blind eye or even collaborated on the underhanded things Urquhart has done up to this point. She has been OK with his affairs and even suggested he should have one with Mattie. She has been OK with the murders of Roger O’Neill and Mattie and nothing seems to faze her. She disappears when Urquhart needs to be alone with Sarah or Mattie. Elizabeth often goes out to the country. This week she mentioned she was going to bring Corder with her and I think that is the link. Elizabeth and Corder are having an affair. This is not a big deal in a sense because it is clear that Urquhart knows about it and is OK with it. They seem to have some kind of open marriage. Remember my obsession with Mattie’s tape recorder? Last week I mentioned I believe that Corder is the one with the tape recorder. I think Corder and Elizabeth are in partnership holding on to the recorder for insurance. I could be wrong but I don’t think there plan is to release Urquhart’s taped confession any time soon but hold onto to it until it will bring them the most power. 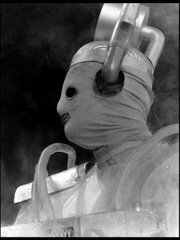 Whether we find out more about this in Episode Four or in The Final Cut is not known yet. 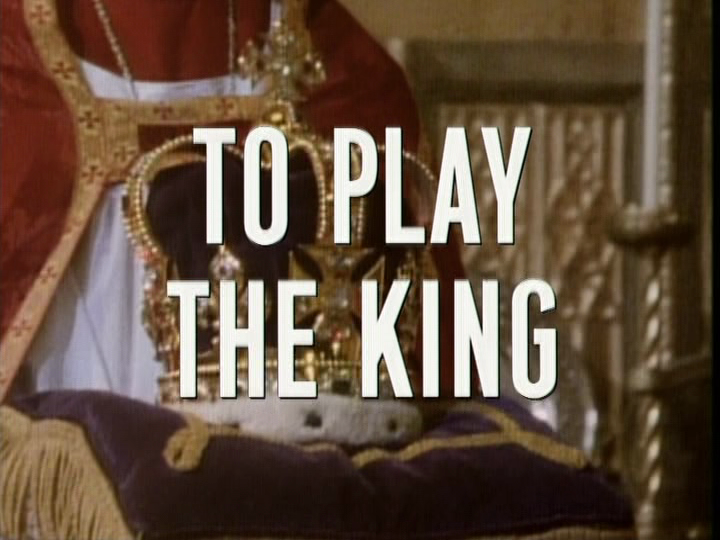 Next Week: The final episode of To Play the King. It looks like Urquhart and the King are ready for the battle of wits. Is Urquhart really prepared to take down the whole Monarchy? The methods between the two series haven’t changed but as we see in this week’s episode, the difference is that more and more people start to see Urquhart for exactly who he is and the one who is seeing this the most is the King. That was bound to happen, considering he managed to attain a position that was more public.